Dan, a farmer who lives in a remote part of Ireland, is having serous financial problems. Looking for a quick fix, he hooks up with Bovine Genetics, a benevolent sounding company that does experiments with cattle, especially cows. So he rents his farm to John, a scientist working for Bovine Genetics, not asking too many questions. It all seems perfectly benign and the tests done by a local veterinarian Orla prove that there’s nothing wrong with the cows. That’s the way it always starts, everything is perfectly fine until it’s not, and when it’s not… At the same time, a young couple on the run parks their car and trailer at the entrance to Dan’s farm. 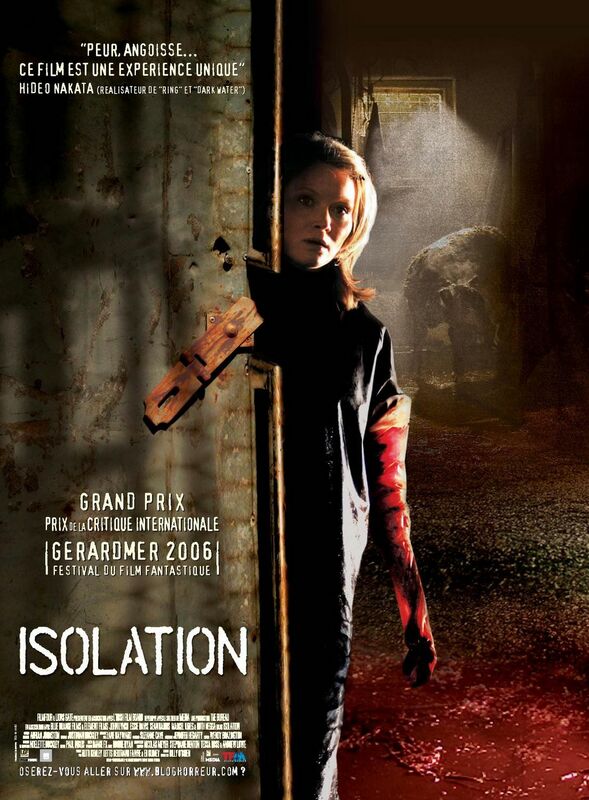 Fun Facts: Isolation was screened at Fantastic Fest in September 2006. It received three awards at the festival: the horror jury awards for best picture and best director Billy O’Brien, and the second-place audience award behind Hatchet.